MoJo Promotions hold a first class variety of personalised boots products, all intended to be custom printed with your logo. Boots Products provide a brilliant way to advertise your requirements. The practical nature of personalised boots products is sure enough to ensure your promotional targets are met. Our range includes - Boot Jacks as well as many more. All of our items can be printed to suit your needs, please contact us for more information. 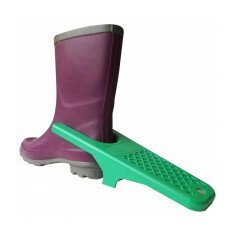 The UK manufactured boot jack is a perfect promotional gift for use in any gar..